Remodal is an easy and fast jQuery plugin that popups a responsive & flat styled modal window with CSS3 transitions and fullscreen overlay. 1. 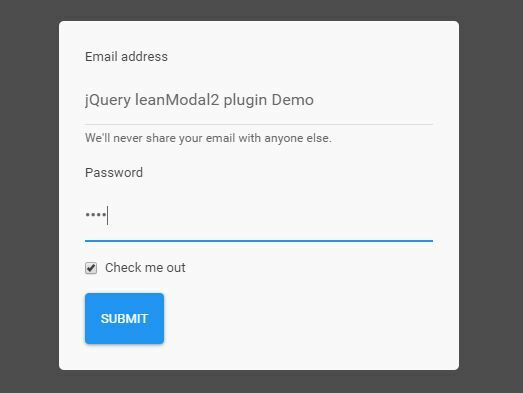 Include the required jquery.remodal.css to style your modal windows. 2. 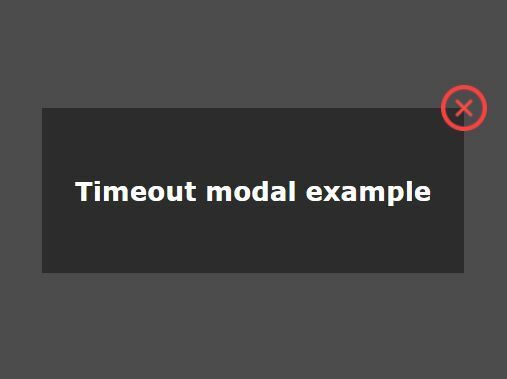 Create a link to toggle a modal window. 3. 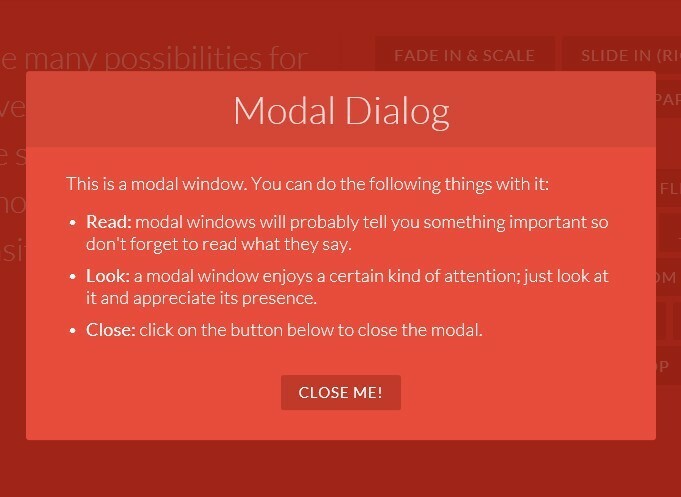 The Html structure to create a modal window with close and confirm buttons. 5. Disable the hash tracking option using data-remodal-options attribute. // closes a modal window after clicking confirm button. // closes a modal window after clicking cancel button. // closes a modal window after pressing ESC button. // closes a modal window by clicking anywhere on the page. Scroll to the top, when a modal is displayed. Used package.json instead of jquery.json. Added the ability to change the namespace for CSS and events. Used '#on' instead of '#bind'. Fixed a scrolling to the top of a page. Added the 'reason' parameter to the close/closed events. Added font-size of inputs to prevent iOs zooming. Convert image for IE8 to base64. 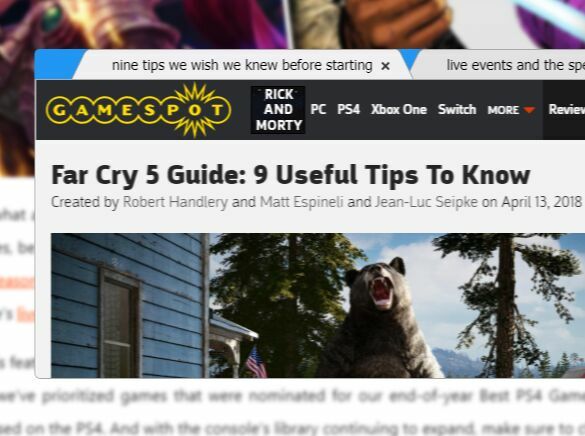 Fix scrollbar padding for Zepto. Moved @import to the top of the file. Meteor requires the @import to be at the top. Adding some basic CSS support for IE8. Added CloseOnEscape and CloseOnAnyClick options. Fix safari ghost padding bug. Add parsing of non-json strings with options. Catch syntax error if the hash is bad. Support for trailing slashes in URL. Works in the old android, ios browsers and other. Plugin constructor calling returns instance now. var inst = $('[data-remodal-id=modal]').remodal(). Blur is changed from 5px to 3px. This awesome jQuery plugin is developed by VodkaBears. For more Advanced Usages, please check the demo page or visit the official website.